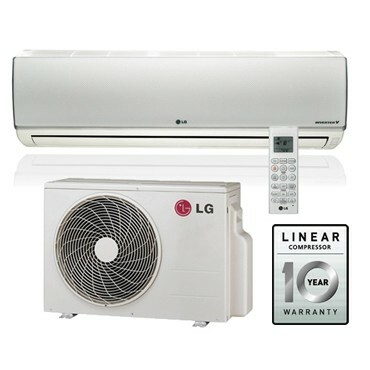 The Libero-Deluxe from LG is an A++ rated system which features active energy control for lower running costs, Plasmaster ioniser and auto clean for removal of microscopic contaminants and unwanted moisture. This system is also extremely quiet running as low as 19dBA when in sleep mode. 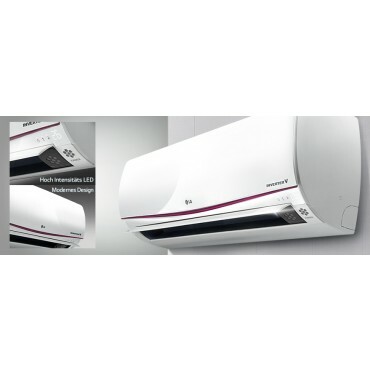 It is ideal for domestic settings where a powerful but quiet unit is required. Active Energy Control function allows you to select the level of energy consumption depending on the situation. Enjoy a cool and comfortable atmosphere with saving energy. Normal: 100% cooling at 100% energy consumption Step 1: Press the button once to 85% of cooling capacity at 74% energy consumption Step 2: Press the button twice to 65% of cooling capacity at 54% energy consumption. The interior of the air conditioner is maintained by drying off the heat exchanger, then sterilizing the interior once more with plasmaster ions to eliminate unwanted mold and odours. Plasmaster™ Ionizer Plus generates over 3 million ions to sterilize and deodorize. It protects you from unpleasant odours and harmful substances in the air. The advanced technologies of 3M & LG remove harmful micro-particles including viruses, bacteria and allergens to provide a safer, healthier environment. The Dual Protection Filter captures dust size over 10? and bacteria.